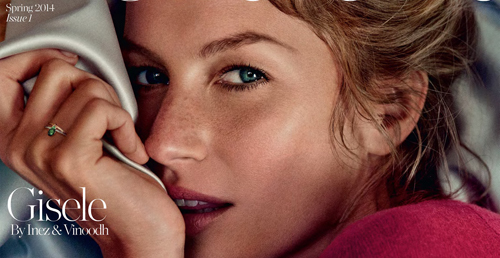 The physical perfection and business acumen transformed Gisele Bündchen’s most famous supermodel – and healthy – in the world. After 33 years and nearly 20 career is star perfume, jewelry, cable TV, shampoo, toothpaste, and their own line of lingerie campaigns folder. Is at the pinnacle of the profession at an age when most models already hung them high heels. And even so, fails to take care of the children, husband and cherishes most in life: his individuality. 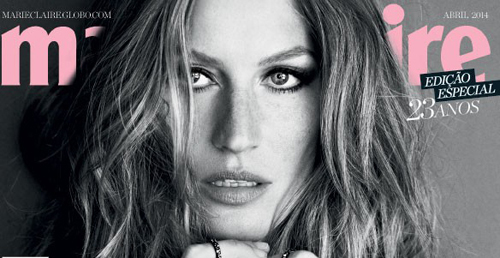 Who better than her to toast 23 years of Marie Claire ? 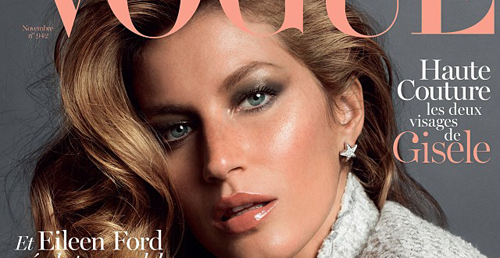 By email, Gisele gave, exclusively, an interview for us. See key excerpts below. The full article you can find in the printed version, which hits newsstands on Friday (28). – You do a lot of physical activities such as yoga and kung fu. How much of your routine spends with the body ? – I travel a lot, so my routine varies greatly, depending on where I am. But I try to work out an hour a day every day. Usually do not have that time, so I try to do at least 15 minutes of yoga or stretching. I do not have a specific exercise. I love yoga, boxing, kung fu, pilates, surfing, horseback riding, playing volleyball. The important thing is how good I feel after exercise. When I do not feel that my day was incomplete. – What else has changed in your life after being a mother ? – My kids and family are my priority. Organize the agenda and work around them. Although not easy, I do my best to accommodate all, but it is a constant challenge. I realized how important it is to take time for myself every day, to have more energy for my kids , husband , job … Seeking travel less and have been more careful in the selection of works to be more present in the lives of my children . – The routine is not usually an ally in life together. What are your tricks of seduction ? – I think important to feel comfortable and like the way it is. It helps to have more confidence. So , can you use the strengths to your advantage. Otherwise, a good lingerie always helps to create a mood. The rest is attitude. – Why MC decided to launch Gisele Bündchen Intimates, his brand of underwear ? – I worked many years in this segment and came to understand and like increasingly lingerie. The part I like best is the creation of the product. The staff [of production] always brings different ideas and I love to give advice. I also like to look and taste everything to see what looks cool, like wearing the body. Approve the fabrics, colors, models… wrap me enough. – When was the last time you cried ? – I’ma get emotional and melted butter with ease. Like anyone else, I also have sad moments, but I try not to focus on the sadness. I feel it, but then try to see what that situation can teach me. – And what makes you happier now ? – See the face of my children to agree. Each conquest, discovery, laughter them fills my heart with joy.